There’s a 3D Printable version of Marty for those lucky enough to have access to a 3D Printer. 3D Printing Marty is no small task, even on a fast printer it’s over a day’s worth of printing, but for those that are looking to make modifications to the hardware, change up the colour scheme, give Marty funky Disco eyes or even use bits of Marty for other projects, 3D Printing is the way to go. The 3D Printable parts are slightly different from the injection moulded ones - this is because what works well in a printer won’t neccessarily work well in a mould, and vice-versa. Because of this, there are separate & different instructions for building a 3D Printed Marty, which you’ll find linked at the top of the Downloads page. Remember you'll nedd the electronics as well as the plastics! 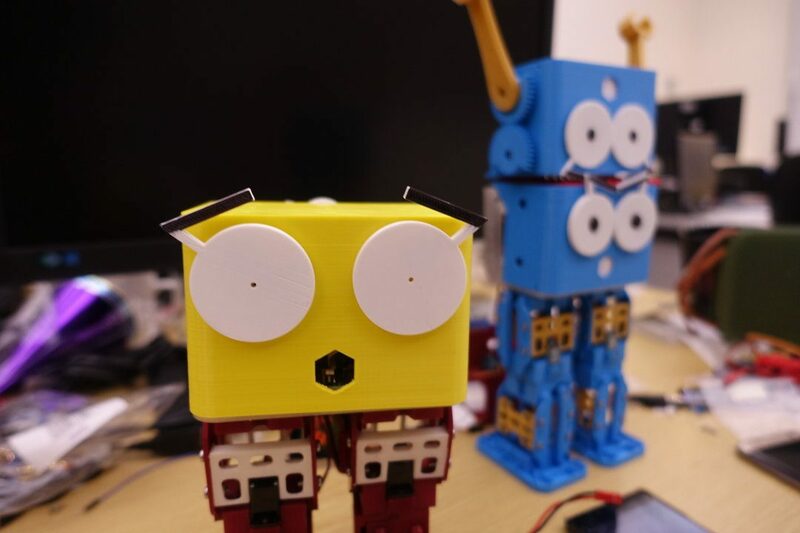 Because you’re building your own Marty from scratch, you don’t have to use our hardware (i.e. Rick) or motors (K-Power DMM016 and HobbyKing HK15178). 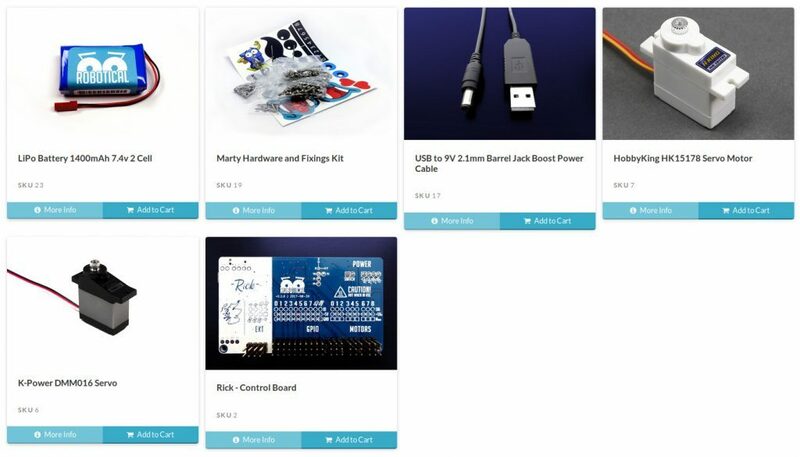 While we recommend that you do use our stuff, mostly because having a Rick will give you full functionality and compatibility with our APIs, the choice is open tou you to use an Arduino or RaspberryPi, alongside a motor controller and some source of power. Indeed, the early prototypes we have use this real nifty I2C board from Adafruit, with some Hobby BECs, a RaspberryPi and a LiPo. See the printing instructions for full part recommendations. See our additional parts on the shop below!